ASDERA develops drugs for unmet needs by utilizing a patented computational biostatistics platform to identify complex genetic risk factors in small (n>500) epidemiological and phase 2/3 studies. Preventing Alzheimer’s disease progression, early. Bionomics is a biopharmaceutical company dedicated to making better treatments for cancer, central nervous system disorders such as anxiety, depression and Alzheimer's disease.I invite you to spend a few minutes exploring our website and getting to know us. Our exceptionally talented team is driven by a shared commitment to make a difference in diseases with inadequate treatment options.We are in a strong growth phase with our world-class portfolio of promising drug candidates from early to advanced stages of clinical development. This portfolio is fed by highly productive drug discovery platforms that includes MultiCore®, our proprietary chemistry capability.At the core of our business is strategic partnering. We partner with large pharmaceutical companies to get our drugs through the later stages of development and into the market as rapidly as possible. This means we can focus our strengths in innovative drug discovery to extract as many "shots on goal" from our diverse pipeline in the quest to create the world's new blockbuster drugs.We have a passion for what we do and we work with the best in the world to deliver meaningful outcomes from our discoveries. We look forward to you accompanying us on this extremely valuable journey. Bonti is a privately-held, clinical-stage, rapidly emerging biotechnology company developing a next generation neurotoxin for therapeutic and aesthetic indications for patients with unmet needs. Founded by world class neurotoxin experts with proven success, the Bonti team has unsurpassed neurotoxin, aesthetic and pain expertise. Bonti will improve lives by successfully addressing key unmet needs in markets with significant addressable opportunities. Bonti’s lead product candidate, EB-001, is an investigational botulinum neurotoxin serotype E (BoNT/E). EB-001 has a mechanism of action similar to the marketed botulinum neurotoxin serotype A (BoNT/A) products though it has a differentiated clinical profile. EB-001 has a fast onset of action (within 24 hours) and short duration of effect (about 3 – 4 weeks). EB-001’s unique target clinical profile may be well suited for a vast range of therapeutic, e.g., for the effective treatment of post-surgical and non-surgical musculoskeletal pain, and aesthetic uses. Cavion is a clinical-stage pharmaceutical company with an innovative mindset and compassionate culture. Cavion closed a Series A venture capital financing in late 2016. Combining those investors’ industry capabilities with Cavion’s science and expertise has put us well on the road to developing our promising Cav3 modulators for movement disorders and rare, pediatric epilepsies. Committed to putting people in the center, Cavion’s first neurology clinical trial – the T-CALM trial of CX-8998 in essential tremor – is now recruiting subjects. 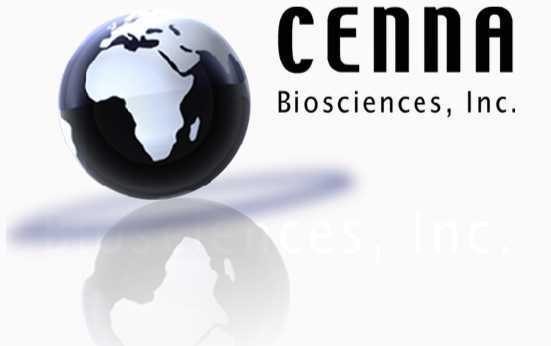 Cenna Biosciences is a biopharmaceutical company dedicated to the discovery and development of novel drugs to prevent and treat Alzheimer's disease (AD). Cenna was founded in 2006 as a California C-corporation to translate over a decade's academic research at the University of California San Diego (UCSD) by the inventors of the technology. The research to date has been funded by non-diluting NIH and other grants. Click Therapeutics, Inc. develops and commercializes software as prescription medical treatments. Click created the term Digital Therapeutics in 2012 based on the premise that mobile software can be an effective treatment for people with unmet medical needs. Through cognitive and neurobehavioral mechanisms, Click Therapeutics' digital interventions enable change within individuals, and can be used independently or in conjunction with biomedical treatments. The Clickometrics® adaptive data science platform continuously personalizes user experience to optimize engagement and outcomes. As the leader in Digital Therapeutics™ solutions, Click Therapeutics is building the brains behind digital medicine. Emerald Health Therapeutics is a diversified cannabis company positioned to take advantage of the significant projected growth in different segments of the cannabis industry. The target segments are Pharmaceuticals, Botanicals (Medical and Recreational), and Bioceuticals. Each investment leverages the scientific rigor, federal regulatory compliance, and life-science expertise of Emerald Health Sciences’ leadership. Flowonix is a medical device company dedicated to helping those who suffer from chronic disorders. Our team has decades of experience developing unique and reliable medical devices to improve lifestyles. Using one of a kind technology, Flowonix has developed an implantable drug pump designed to deliver therapeutic drugs into the spine to relieve a variety of chronic disorders and help patients return to normal lives. Currently, Flowonix is focused on alleviating chronic pain. We are dedicated to working with healthcare professionals to help ease suffering and allow people to reclaim their lives through innovation and therapy advancements. K-PAX Pharmaceuticals is engaged in the development of products that support optimal mitochondrial metabolism. K-PAX Pharmaceuticals is a San Francisco Bay Area biotech company. Our lead asset is KPAX002, a currently available drug that is bolstered by our proprietary mitochondrial technology. Combined with mitochondrial support, this drug now possesses the ability to effectively treat fatigue in patients with neurodegenerative diseases. We have completed several clinical trials demonstrating that KPAX002 has excellent safety and efficacy in several CNS disease states. Kalgene is developing a novel fusion protein therapeutic for slowing the progression of Alzheimer's disease, with technology licensed from the National Research Council of Canada. The therapeutic targets the toxic soluble amyloid and the clinical program will focus on patients with early clinical signs of cognitive decline, before progressive neural damage causes dementia. Today we've completed pre-clinical proof of concept work in partnership with the NRC and McGill University. These studies have shown that the development candidate passes through the blood brain barrier and rapidly induces CSF-amyloid-beta clearance. PET studies in rat models of the disease showed dramatic plaque removal. In an aged rat disease model, neuronal connectivity using diffusion weighted MRI was vastly improved, hippocampal volume was increased and no increase in micro-hemorrhages was observed. Marinus Pharmaceuticals, Inc. is a clinical stage biopharmaceutical company dedicated to the development of ganaxolone, which offers a new mechanism of action, an extensive safety database, and convenient dosing to improve the lives of patients suffering from drug-resistant seizures and neuropsychiatric disorders. ​NeuroActiva, Inc. is a clinical-stage biopharmaceutical company dedicated to the discovery, development, and commercialization of new drugs to treat Alzheimer’s disease. We have 2 drugs, which are in clinical trials Phase 1 and Phase 2 focusing on treatment of Alzheimer’s disease. 1. Traneurocin (NA-831), a novel neuroprotective and neurogenesis agent for treatment of Alzheimer's disease. NA-831 is an endogenous compound, i.e. already in existence in the brain. It has an excellent safety profile with no toxicity observed. The Phase is scheduled to be completed in March 2018. 2. Our second drug candidate, Vineurocin (NA-704) is a recombinant human growth hormone that modulates the aging process in humans. NA-704 exhibits neuroprotection and neurogenesis, which has been demonstrated as a strong candidate for treatment of Alzheimer’s disease and other neurological disorders. The NA-704 Phase 2 will be from from June 2018 to May 2019. NeuroActiva has developed a new controlled release intravenous drug delivery, known as the MICROS Infusion System, which has been approved by the FDA for marketing in the USA. MICROS can be prefilled with a customized dosage of NA-704 to be available as a premixed and ready to use package. ​NeuroRx, Inc. is a clinical stage, small molecule pharmaceutical company developing novel therapeutics for the treatment of central nervous system disorders. The company is built upon 30 years of basic science and clinical expertise in understanding the role of the brain’s N-methyl-D-aspartate (NMDA) receptor in regulating human thought processes in general and in regulating depression and suicidality in specific. The company’s lead drug candidate is NRX-101 (Cyclurad™), the first oral therapeutic for the treatment of Acute Suicidal Ideation/Behavior (ASIB) in Bipolar Depression. NoNO, Inc. is on the brink of achieving one of the most ambitious goals in 21st century medicine: protecting the brain against stroke. Our scientists and physicians have been at the forefront of stroke science for two decades with an unrelenting commitment to improving life after stroke. Today, we are industry leaders changing the paradigm of stroke therapy and the treatment chronic neurological diseases. Palisades Therapeutics (PT) is an entrepreneurial company with a unique operating paradigm that is developing breakthrough neurology, psychiatric, oncology and anti-infective compounds. The company has more than 65 scientists, physicians, clinicians, lawyers and professionals working together “without salary” to bring lifesaving therapeutics to the world. The company is working in collaboration with the National Institute of Health/National Institute of Allergy and Infectious Diseases (NIH/NIAID), the Department of Defense (DoD) the Veterans Administration (VA) and the National Cancer Institute (NCI). ​Probiodrug AG is a biopharmaceutical company dedicated to the research and development of new therapeutic products for the treatment of Alzheimer’s disease (“AD”). Probiodrug has identified a new therapeutic concept linked to disease initiation and progression. The development approaches are targeting pyroglutamate-Abeta (pGlu-Abeta) as a therapeutic strategy to fight AD. ProMIS™ Neurosciences, Inc., headquartered in Toronto Ontario, and with offices in Cambridge Massachusetts, is publicly traded on the TSX (ticker symbol: PMN.TO). As a development stage biotech company ProMIS’ mission is the discovery and development of best in class precision therapeutics for treatment of neurodegenerative diseases, in particular Alzheimer’s disease (AD) and amyotrophic lateral sclerosis (ALS). Sense is a non-invasive, disposable device that continuously monitors brain activity primarily in the intensive care unit. Tal Medical is a clinical stage neuroscience company pioneering non-invasive neuromodulation treatments for brain disorders. We aim to redefine the clinical paradigm in neuropsychiatry by introducing a safe, at-home treatment modality into mainstream clinical practice. Our lead platform, Low Field Magnetic Stimulation (LFMS), has been tested in five randomized, controlled clinical studies in depression to date. These studies have shown rapid antidepressant effect in patients who did not respond to prior drug treatment, without any major side effects. If our planned pivotal study confirms LFMS’ rapid antidepressant effect, LFMS could transform the way we treat depression, and become one of the most important innovations in the treatment of brain disorders. Tonix is developing innovative pharmaceutical products to address major public health challenges. In addition to Tonmya for PTSD, Tonix is developing TNX-601 (tianeptine oxalate), a clinical candidate at pre-IND (Investigational New Drug) application stage, designed as a daytime treatment for PTSD and TNX-801, a live synthetic version of horsepox virus, at the pre-IND application stage, to be developed as a potential smallpox-preventing vaccine.